Three Ghost Friends: Guess What Costume! In my book, Three Ghost Friends: Learn About the ABCs - Halloween Edition, the Three Ghost Friends hope to find just the right costumes to wear for Trick or Treat. It proves to be difficult with at least one ghost friend not wanting to follow the theme. They try on animal costumes, fruit costumes, community helper costumes, and even SCARY guy costumes. Thankfully, the Three Ghost Friends eventually find the perfect costumes to wear. One of the key learning objectives of this book is to teach categorization. 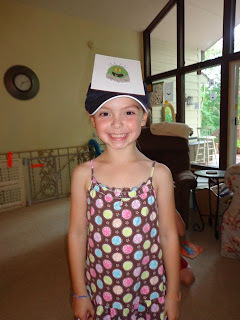 I am always looking for a way to extend learning beyond a book's pages or iPad screen. 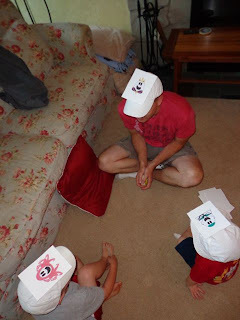 My family came up with a game that we had so much fun playing and we hope you enjoy it too. It is called "GUESS WHAT COSTUME!" 1. 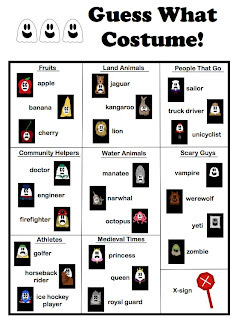 Download and print all the costumes. 2. Cut and glue each costume on index cards. 3. 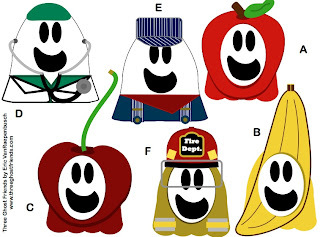 Download and print copies of the Guess What Costume! Checklist for each player. 6. The first person to correctly identify the costume on their head is the winner. Click here to download all 26 costumes! We all sat in a circle with our costume cards taped to our heads. I had a "Queen" costume. 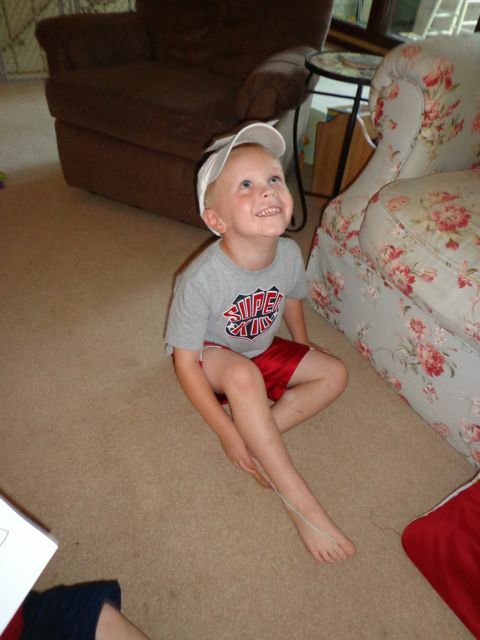 I think my son was trying to look through his hat! AHHH! She has a zombie on her head! Be sure to check out other activities for the book: Costume Time! and Halloween Sort.